Train and fight powerful enemies as a skilled ninja fighter in KickTimeStudios' Ninja Warrior Assassin 3D (unlocked). 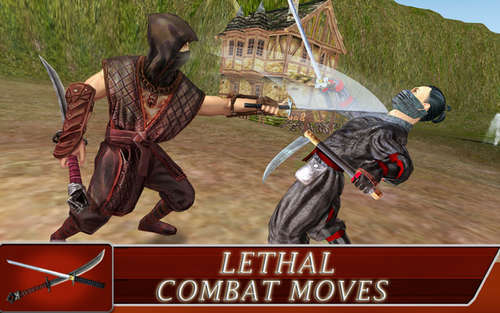 Use powerful weapons and combat moves to deal lethal kicks and blows to enemy soldiers. This game is your typical arcade fighter with nothing special about it. You have a bunch of weapons to choose from, 10 missions to go through in different locations (forest,etc), and the typical ninja warrior skills like jumping, stealth and the like. It's a good time waster that you should check out! Do comment and let me know if the mods work for you!